A new report shows Kansas farmers have harvested 25 percent of their winter wheat crop. 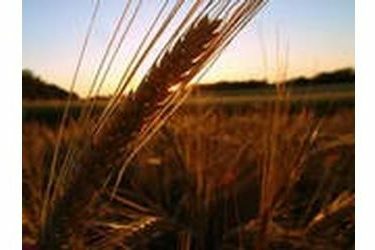 The National Agricultural Statistics Service said Monday that wheat harvest progress for the state is near the 27 percent average for this time of the year. It rated wheat still out in the fields as 62 percent good to excellent, with 30 percent in fair condition. About 8 percent of the crop remains in poor to very poor shape. The industry group, Kansas Wheat, reports that rain over the weekend in central Kansas is expected to put a damper on what had been an otherwise great yielding harvest. Storms in Reno and McPherson counties brought harvest to a halt on Sunday, and likely for Monday, in parts of the state.